I’m not one to often turn asparagus into soup. I think the crisp texture of asparagus makes the flavor better. This soup has changed my mind. I keep it simple with the base but the spinach adds a bump in nutrients (and green hue!) To make this soup easier, you could swap heavy cream for the sunflower cream but I do like the bit of earthiness that comes from the sunflower. Read more and see the recipe. 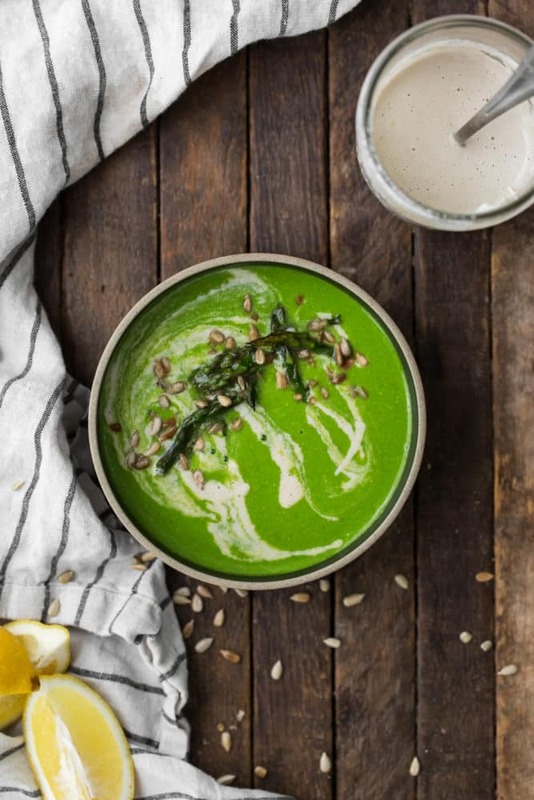 The post Spinach Asparagus Soup with Lemon Sunflower Cream appeared first on Naturally Ella.